The U.S. Supreme Court will decide whether Congress violated the “nondelegation doctrine” by giving the U.S. Attorney General the power to define whether certain actions constitute crimes—a job the Constitution assigns to Congress, not the Executive Branch. The nondelegation doctrine is an important principle for maintaining our government’s three-branch structure of checks and balances. Allowing Congress to delegate its constitutionally-assigned powers to the Executive Branch increases the already far-too-extensive powers of the administrative state. In June 2018, Becket filed a friend-of-the-court brief highlighting the specific importance of the nondelegation doctrine to religious liberty. Because administrative agencies are historically and substantively less attentive than Congress when it comes to protecting religious liberty, Becket urged the Court to apply a strong version of the nondelegation doctrine. The U.S. Supreme Court heard oral arguments in Gundy v. United States on October 2, 2018 and will decide the case sometime before July 2019. Becket Merits Amicus Brief in Gundy v. U.S.
Gundy v. United States. The Becket Fund for Religious Liberty (n.d.). Retrieved from https://www.becketlaw.org/case/gundy-v-united-states/. Gundy v. United States. (Apr. 04, 2019). https://www.becketlaw.org/case/gundy-v-united-states/. "Gundy v. United States." The Becket Fund for Religious Liberty. Accessed [Apr. 04, 2019]. https://www.becketlaw.org/case/gundy-v-united-states/. 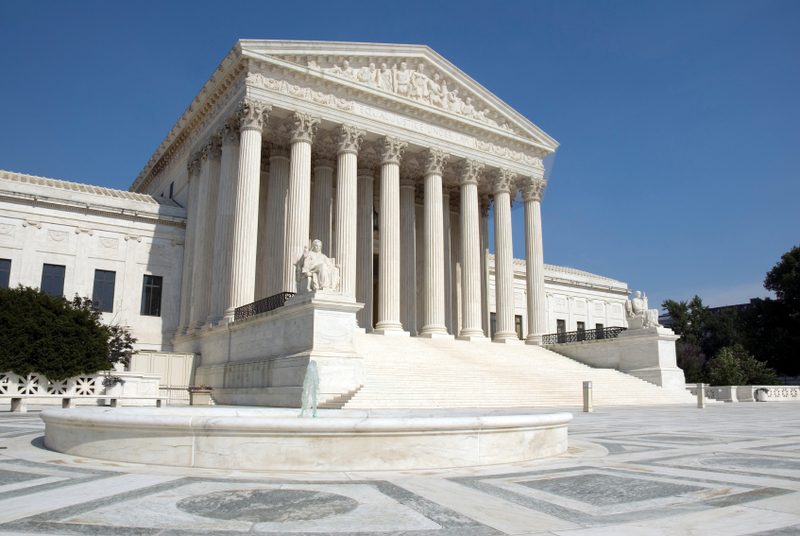 In Gundy v. the United States, the U.S. Supreme Court will decide whether Congress violated the “nondelegation doctrine” by giving to the U.S. Attorney General Congress’s constitutionally-assigned task of defining the scope of criminal liability. The nondelegation doctrine is an important principle for maintaining our government’s three-branch structure of checks and balances, and it is particularly important for protecting religious liberty. The “nondelegation doctrine” says that Congress cannot vaguely delegate its powers to administrative agencies. Doing so undermines the purpose of our governmental structure. Our nation’s founders divided our government into three branches—legislative, executive, and judicial—so that these branches would “check” and “balance” each other. Without those checks and balances, one branch of government can grow in power to the point of eclipsing the others—exactly what our founders wanted to prevent. Allowing Congress to delegate its constitutionally-assigned powers to the Executive Branch increases the already far-too-extensive powers of the administrative state. On top of that, historically, administrative agencies are less attentive to safeguarding religious liberty than Congress. Once an agency has trampled on a religious group’s rights, it can be a long and difficult process to win them back, especially for minority groups. Pastor Soto, for example, a Native American and member of the Lipan Apache tribe, spent ten years fighting in court to get back sacred eagle feathers confiscated by an undercover federal agent from the United States Fish and Wildlife Services. The Federal Emergency Management Agency (FEMA) unconstitutionally denied funding to severely damaged houses of worship simply because they are religious, even as the houses of worship are providing assistance to others impacted by the same natural disasters. And the HHS Mandate cases Burwell v. Hobby Lobby and the Little Sisters of the Poor clearly demonstrated the disastrous consequences of Congress delegating broad powers to an administrative agency—Congress did not impose a contraceptive mandate, HHS bureaucrats did. In June 2018, Becket filed a friend-of-the-court brief in Gundy v. United States highlighting the specific importance of the nondelegation doctrine to religious liberty. Without the nondelegation doctrine, religious groups—particularly minority ones—are at risk of losing their rights. The U.S. Supreme Court heard oral arguments in Gundy v. United States on October 2, 2018 and will decide the case sometime before July 2019. Gundy is represented by Sarah Baumgartel of the Federal Defenders of New York, Inc. Religious communities: The “nondelegation doctrine” is particularly important for protecting religious liberty of religious communities, especially minority ones. Administrative agencies are historically less attentive to religious liberty rights than Congress.